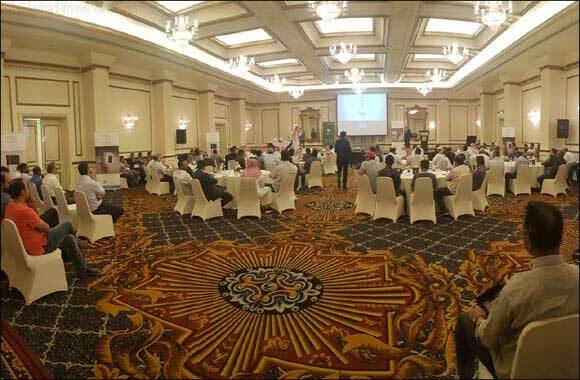 September 26, 2018: Ring, a leader in in neighbourhood security together with Al Jammaz Distribution, the leading Saudi based Value-Added Distributor, announced they have embarked on a two-city roadshow in Riyadh and Jeddah, to promote Ring’s innovative home security products and solutions and share insights into the importance of home security with its partners in the Kingdom. “Ring believes in keeping homes and communities safe rather than just comfortable and we hope to change the way home owners view security by keeping an eye on their family and property, even when they can't. The Ring roadshow is an important and exciting component of our go to market strategy as we introduce new opportunities to our partners. It also enables our partners to engage with Ring executives at a local level, providing on-ground insights into the home security market as well as customer experience feedback directly from those who are part of our parent network,” said Mohammad Meraj Hoda, Vice President of Business Development – Middle East and Africa at Ring. “We are very happy to host the Ring Roadshow in Riyadh and Jeddah as we believe that it will act as a catalyst to expedite the visibility and awareness of Ring’s entire range of home security products and solutions. We want our partners to move from product-centric selling to an integrated home security solution selling proposition. explore exciting new opportunities and partner enablement initiatives, expediting transition from product-centric selling to integrated security solution selling, thus strengthening value proposition for partners. The awareness and demand for smart entry devices, such as smart doorbells that keep families, neighborhoods and communities safe are growing and we are sure that our partners will gain a better understanding of the Ring products and will have direct access to the Ring team who will be able to address any questions and concerns,” said Asim Al Jammaz, CEO, Al Jammaz Distribution. Ring has evolved as a leading brand in the home security space represented by 18,000 plus stores across North America, and Ring’s products globally have been hailed as a dependable second set of eyes and ears to deter would-be thieves from entering homes and communities. Following a pilot program with the Los Angeles Police Department in the US, within six months it was proven that Ring’s Video Doorbell which provides a live view of any doorway and includes adjustable motion sensors and night vision, was able to reduce crime in a Los Angeles neighborhood by over 55%. The goal is to bring the same convenience and security to the UAE neighbourhoods. At the Roadshow partners will get to explore and understand Ring’s latest suite of smart home security products such as Ring Video Doorbell 2 that helps you communicate with visitors from anywhere; Ring Video Doorbell Pro which in addition to the features of the Video Doorbell 2 has improved motion detection features; Video Doorbell Elite which requires professional installation with power over ethernet offering the most reliable connection in home security; Ring Floodlight Cam, the first motion-activated security camera with two-way audio, HD video, built-in floodlights and a siren; and the new Ring Spotlight Cam Battery, a long-lasting battery-powered powered HD camera with two-way audio and a siren; the Spotlight Cam Wired with two-way talk and a siren solution.